LAWRENCE Kamwi, who held a top position as Mugabe's Principal Private Secretary said his former boss' sins are exaggerated as he was not responsible for everything that came out of his Government. He also said the Army unilaterally expanded the size of its diamond mining concession in Marange including taking over a protected concession against Mugabe's advice and will. ‘But I thought you said Mnangagwa asked for a meeting? 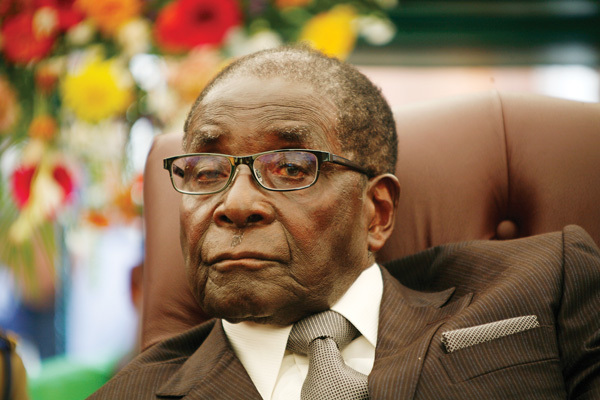 Then why did he bring the Commander of the Zimbabwe Defence Forces,' asked a livid Mugabe. He said Mnangagwa was particularly powerful in Mugabe's Government to the extent that he together with Chiwenga at one time held the former President hostage at State House for more than four hours. Mnangagwa could change Mugabe's meeting schedules and overturn decisions of the former President, said Kamwi in the article in which he painted a gloomy picture of the prospects of turning around the fortunes of ZBC and making its editorial line more professional. ‘At issue was the subject of diamond mining, where the Defence Forces were unilaterally expanding the size of their concession. In this expansion, they had also taken over a protected concession. The former First Lady claimed that they refused to listen to the President's reasons for the existence of the disputed mining claim,' said Kamwi in the article. "He actually said Chiwenga came in his military fatigues and sat in the chair behind him with a long military-style dagger and insisted that Mujuru and her allies should be removed from the party. "He said he feared the long knife, something which Kaukonde appeared to disbelieve," a source said.